There are ominous signs that once-popular family sedans such as the Ford Taurus will be discontinued. The migration away from traditional passenger cars to utility vehicles is not news, but its scope is unprecedented in automotive history, says one prominent industry analyst. Opportunity for profit means there’s little incentive for the industry to defend the traditional family car, and automakers are trimming passenger cars from their North American lineups. General Motors is said to have a half a dozen nameplates on the chopping block. 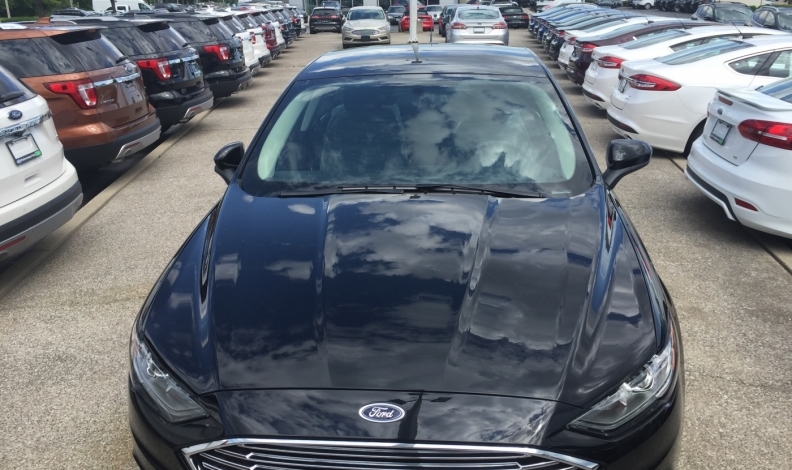 Ford Canada would not confirm a report saying three nameplates, including Taurus, could be cut but said it plans to have five all-new utility vehicles in the lineup by 2020. Ford projects the utility segment could make up 45 per cent of the retail market within five to seven years. The station wagon was a post-war mainstay in suburbanizing North America for decades, but was never this dominant. The pace of transition has been startling, said Robert Karwel, automotive division senior manager for Power Information Network (PIN) at J.D. Power Canada. As late as 2008, cars made up roughly half of Canadian retail sales, he said in an interview. By 2012, cars were 46 per cent and last year only one in three retailed vehicles was a passenger car. For the first half of 2017 the rough ratio was 31 per cent cars to 69 per cent trucks, according to PIN data. Even if pickups and full-size vans are removed, the ratio still favours light trucks, Karwel said. While the shift is driven largely by the 36-55 age bracket, Karwel said those aged 16-35 — millennials — are following suit. Some 57 per cent opted for light trucks instead of less-expensive cars, which is surprising because millennials generally have less money to spend. “Obviously, manufacturers have responded with smaller and more affordable entrants in the light-truck realm,” he said, pointing to the Chevrolet Trax and Buick Encore. The industry has not seen such sustained change before, Karwel said. It could be permanent, peaking somewhere below 75 per cent, leaving a remnant of traditional car buyers. Modern utility vehicles have higher driving positions, often offer all-wheel drive and there’s an impression of greater safety. Tradeoffs have diminished when it comes to noise, comfort, handling and fuel economy. The shift to utilities seems embedded in the structure of the auto business. Buyers are willing to pay more for utility models, on average $119 a month more on the most popular 84-month loan. The average transaction price of a car was $25,246 in the second quarter of this year, compared with $38,238 for a utility vehicle. Light trucks turn over faster on dealer lots. The average car sat for 78 days in the second quarter of 2017, compared with 61 days for light trucks. Incentives as a percentage of retail price for cars were 15 per cent in the second quarter, compared with 14.6 per cent for trucks. Dealers make $1,700 gross profit for light trucks per unit versus $1,200 for a car, a figure in year-over-year decline while truck profits rise. There’s little reason to steer customers to the sedans in the showroom if they show the least interest in a utility vehicle, said Karwel. “And you know that it’s not going to be that hard of a sell because consumers are willing to spend more,” he said. Car development eventually could take a back seat. Since utility-vehicle designs are built on passenger-car platforms, they may be done first, with car models spun off them. Car sales dropped two per cent in the first half of 2017, according to DesRosiers Automotive Consultants, but don’t write off cars for good, one executive said. “There’s no such thing as permanence in these things,” said Toyota Canada Vice-President Stephen Beatty. Lexus IS sales have firmed and Corolla is recovering, he said. As competitors cull their lineups, there’s a chance for automakers with strong offerings to consolidate their position in passenger-car segments. “There are specific opportunities for manufacturers to try for additional car sales,” said Beatty, adding that Toyota has high hopes for its new Camry, now rolling into dealerships. “One thing we know is that new product brings buyers back into the market,” said Beatty. Beatty expects consumer tastes to shift again at some point. The key is to anticipate that shift and get a little ahead of it. “If all you’re ever doing is following the market, you’re likely to be a day late each time,” Beatty said.